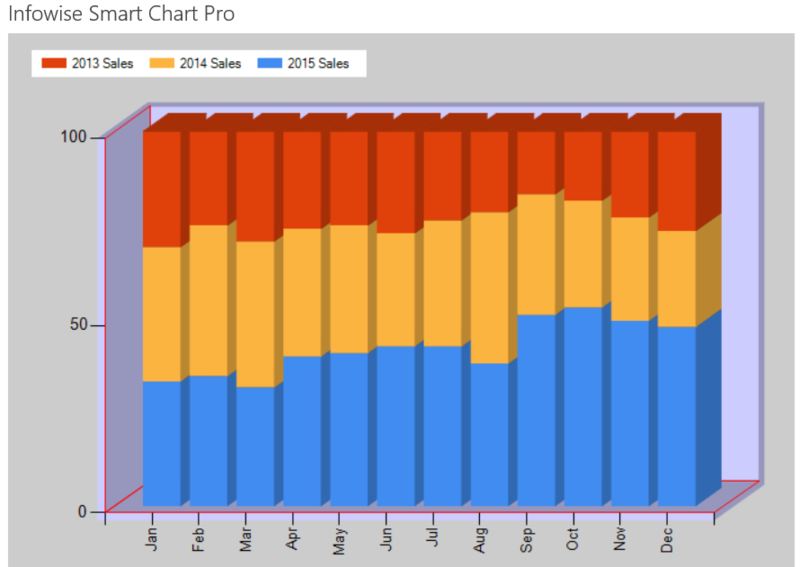 Stacked Charts are useful for showing data that is combined together to give a total. 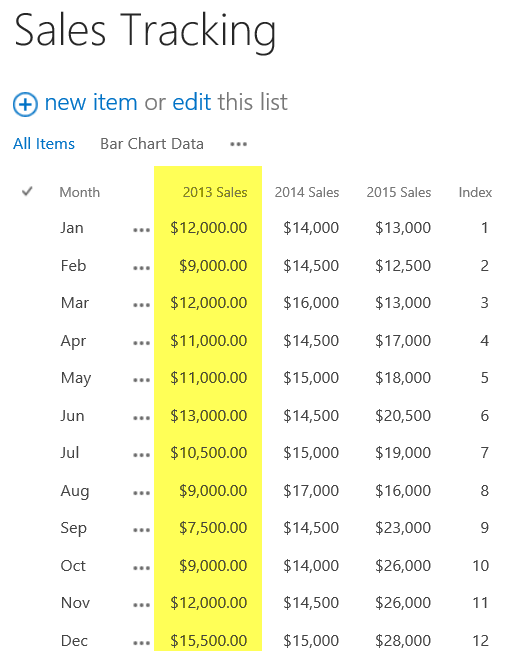 In the below example, the total sales for each month is stacked to that a grand total can be seen for each month. 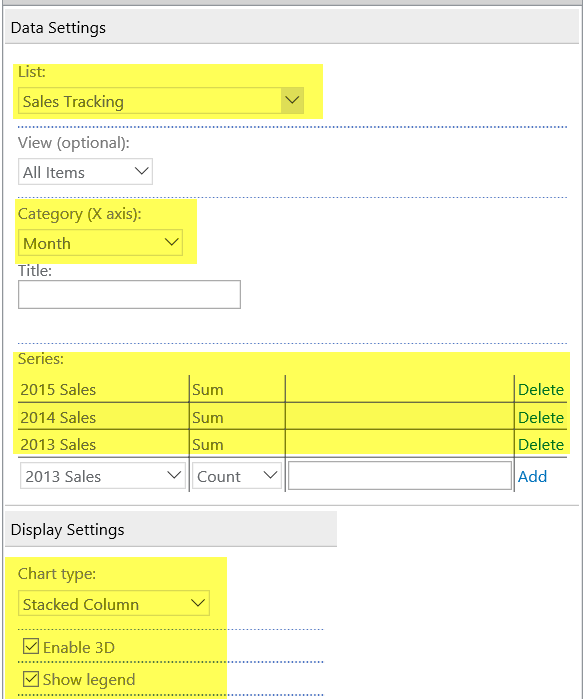 Edit the list used for the Column Chart to include an additional field 2013 Sales. Next try adjusting the Chart Type to Stacked Column 100%. 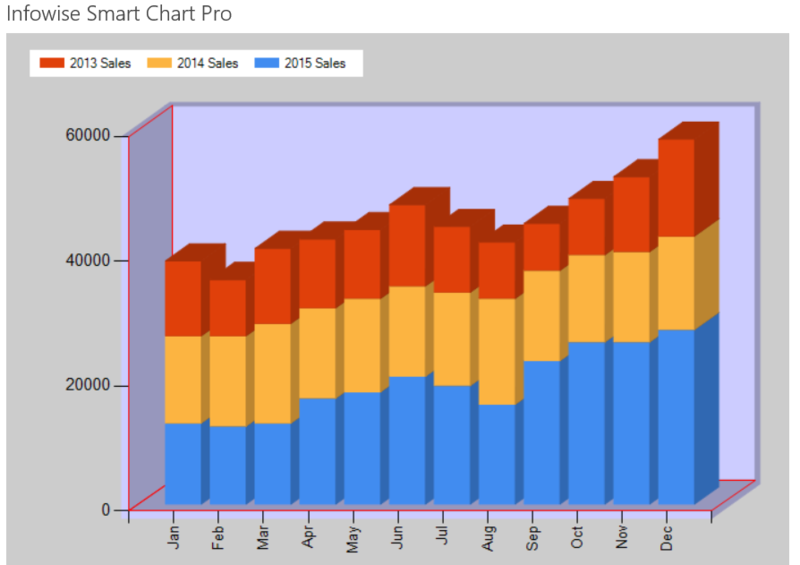 Stacked Charts can be used to show the total of data that are in a logical group. These charts are more sophisticated than Column or Bar Charts. Consider using this type of chart when the amout for two or more fields is often totaled together.